The bottle should be stored in a wine cellar, or in any cool and dry place, at maximum 15°C. The bottle has been intentionnally made transparent to emphasize the beautiful golden color of La Réserve Royale. Hence, you must store the bottle away from any direct light source, natural or artificial. 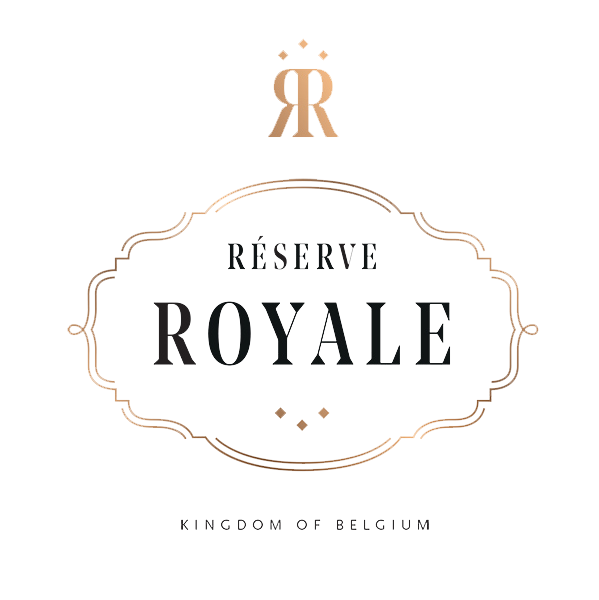 You can enjoy La Réserve Royale now or store it in your cellar. You can either lay it or store it in an upright position. The best-before date is indicated on the bottle and guarantee its aromatic profile. Year of production is indicated on the cork. As La Réserve Royale is a living product, its aromatic profile will evolve month after month. The full aromatic profile of La Réserve Royale is revealed at the perfect serving temperature of 7°C to 9°C. Serving it too cold would conceal the richness of its flavours to blossom. There are 2 ways to cool down your bottle : the first is to place the bottle into an ice-bucket with ice and water for 30 minutes, the second is to place the bottle in the refrigerator for 4 hours. Avoid the freezer, this would chill the bottle too quickly and without any control on the temperature, in addition to the risk of damaging the bottle (the bottle could explode). Serving La Réserve Royale should be done in a special glass in order to concentrate to the best all the flavours and aromas. The common beer glass is wide and shallow which will affect La Réserve Royale’s flavours and aromas by exposing the beer widely to air. We suggest our Réserve Royale’s dedicated glass but if you don’t have one, use a standard white wine glass to enjoy the beer fully. Make sure the glass is clean and at room temperature, otherwise this would affect the effeverscence of the beer. Whether in the shade of a parasol or by soft candlelight, Réserve Royale is always best enjoyed in good company. When you brought it all together, you will have two choices. The first is to saber the bottle, just like a traditional champagne bottle. This is very theatrical and entertaining for your guests but not so convenient so we suggest it only for exceptional occasions. The second is more usual, simply uncork the bottle slowly and carefully by holding the cork in one hand and the base of the bottle in the other. Turn the bottle, not the cork. The cork will ease off with a soft hiss, not a loud a “pop”. Pour the beer slowly into the glass, tilted at 45°, and gently return to the vertical position to obtain a light head. Toast and sip away! The deposit at the bottom of the bottle is the yeast. It can be enjoyed separatly at the end or simply turn the bottle upside down to blend it with the rest of the beer.